The OSC will be holding a quiz night on 30th January in The Pavillion, Llandarcy. Following the success of last season’s inaugural quiz in the Pavillion, we’ll be putting together a 6 Nations Special Quiz (don’t worry, the questions won’t just be about the 6 Nations competition). 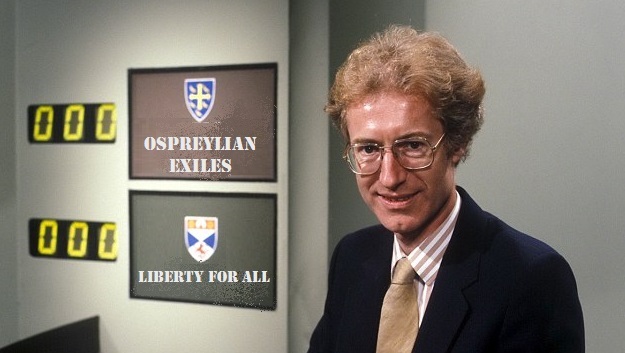 Who will come out victorious in the battle of Ospreylia?? Here are the answers to Quiztion time 4. This will be the last of the world cup themed questions for a while! Answers will be published on 22nd November before we kick off against Clermont. 1. Can you unscramble these 8 anagrams based on World Cup Players? 2. A record 5 tries were scored in the World Cup Final. Who were the Scorers? 3. Which 2 players ended up as the top point scorer and top try scorer of the World Cup? 4. Which country made the most tackles during the Rugby World Cup? 5. Can you identify the PRO 12 teams by the small section of their badge? Here’s the first quiz of the 2015/16 season. This RWC Special was first seen in the 2003 club at the Ospreys-Munster Pro12 game. The answers will be published on 26th September. 2. Four teams have only ever played in 1 World Cup, who are they? 3. Who holds the record for the most points scored in a single World Cup and how many points did they score? 4. In the 1999 Australia only conceded 1 try on their way to winning the tournament. Who was it against, and who scored it? 5. 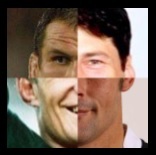 Which 8 World Cup players have been combined in these pictures? Welcome to our 2nd online quiz. This was first used in the 2003 Lounge (when we beat Glasgow Warriors on 8th May 2015 to go top of the Pro12). Remember, there are no prizes, it’s just a bit of fun and the answers will follow in due time! Here we go with our Judgement Day special. 1. Which 2 players received Man of the Match during the Judgement Day Fixtures? 2. Can you name the 4 players who scored the ﬁrst try for each region during Judgement Day? 3. Which current Glasgow Warriors Player will be joining a Welsh Region next season? And which region will they be joining? 4. Jeff Hassler returned to the Ospreys side for the Glasgow game, but who did the Ospreys play the last time he started a match? 5. Can you identify the brothers who have both played for Glasgow Warriors that have been combined in each of these pictures? 6. Which Ospreys players received the following awards at the end of season awards? Welcome to what we expect to be a regular feature – the Ospreys Supporters Club quiz! Those who have attended the 2003 Club on matchday have been lucky enough to have experienced OSC quizes. From now on, we’ll share the questions with everyone soon after home games. There are no prizes and we’ll publish the answers as we get ready to publish the next quiz. We’ll share the older quizes in the off season too! Feel free to discuss the questions & answers with fellow supporters on our Facebook page or on twitter. Here we go – good luck everyone with our 6 Nations Special. 1. Can you name the head coaches and captains of all the 6 Nations teams? 2. Which 2 stadiums used during the Championship have the lowest and the highest capacity? 3. Who was the only Welsh player to play in every minute of every game during the championship? 4. Wales received 4 yellow cards during the Championship. Who were they given to? 5. 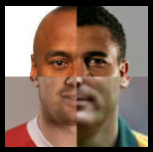 Can you identify the 2 players who have been combined in each of these pictures? 6. 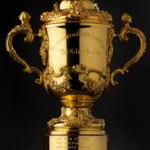 Which 6 Nations teams compete for these awards?